Having recently announced the Australian release date of its most important smartphone to date, Oppo’s new R9s handset is now officially available for purchase Down Under, and with it comes a great deal of expectation for the relative newcomer to the Aussie market. “It was a really interesting time when we launched, because before we came to Australia we did research on the market, and our teams came back and said there was definitely an opportunity for us to crack the market,” said Michael Tran, marketing director of Oppo Mobile Australia. Since the company’s arrival on our shores in 2014, Oppo has quickly gained momentum by aggressively going after the mid-range phone market and steadily building its reputation as a maker of quality handsets that don’t cost an arm and a leg. Its secret? Offering devices that feel premium but cost roughly half as much as flagships from Apple, Samsung, LG and Sony. 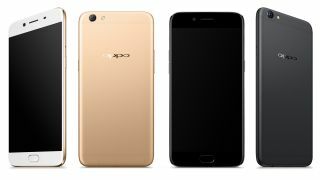 But is Australia the key focus for Oppo in the west? “Yeah, at the moment, definitely,” says Tran. “The strategy has been to work with our retail partners – with JB Hi-Fi, we go into their stores and we make sure we have a display, and that it’s positioned right next to Apple and Samsung. Looking at the Oppo R9s in its naked form, it would be easy to mistake it for an iPhone 7 – its thin, rounded aluminium body, slightly-protruding camera bump, matte finish and similarly-placed buttons seem clearly modelled after the Apple flagship, as does its new iOS-inspired ColorOS 3.0 software. But what the phone may lack in design originality, it makes up for in sheer value. Though it has a retail price of $599, many of the hallmarks we’ve come to expect from a premium phone are present with the Oppo R9s. Its 16MP rear camera features a customised 1/2.8 inch Sony-developed IMX398 sensor with an extra-wide F1.7 aperture, created exclusively for the R9s. On the front, it’s got another 16MP camera for high quality selfies powered by Oppo’s Beautify 4.0 technology. Its 5.5-inch AMOLED display lets you view your photos with vibrance and clarity. Its specs also go beyond what we’ve come to expect from mid-range phones, offering a whopping 4GB of RAM and a Octa-core 2.0 GHz Cortex-A53 processor on a Qualcomm MSM8953 Snapdragon 625 chipset. It’s also got 64GB of onboard storage, with a further 256GB available via the MicroSD card slot in its dual SIM tray. Topping off the list of premium features at mid-range prices, the handset’s 3,010 mAh battery also supports Oppo’s VOOC Flash Charge technology, which will reportedly give you two hours of talk-time after a 5-minute charge, and 75 percent battery after a 30-minute charge. The Oppo R9s is available now from JB Hi-Fi, Optus and Woolworths Mobile, as well as Oppo’s new partners, Vodafone and Virgin Mobile.